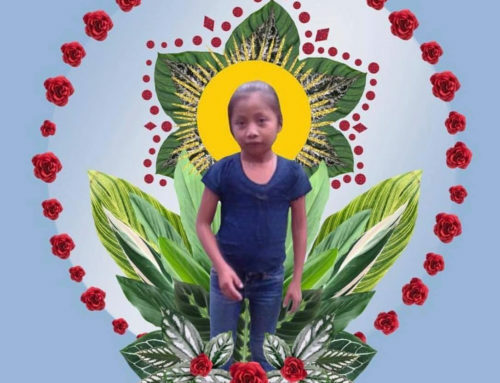 The following article was written in collaboration with the Network in Solidarity with the People of Guatemala, the Maritimes-Guatemala Breaking the Silence Network, MiningWatch Canada, and the Progressive Leadership Alliance of Nevada. In February 2016 houses in the village of La Cuchilla in the municipality of San Rafael Las Flores, began to crack and on April 19th, the houses began to fall down. The community is located less than 3 kilometers from Tahoe Resources’ Escobal mine, which has been operating an underground silver mine since January 2014. Like many of those who live near the Escobal mine, community members from La Cuchilla have denounced constant vibrations from blasting and heavy truck traffic related to mining activity. The vibrations are so prevalent that community members have been registering the times of explosions for months. After their homes began to crack and crumble, community leaders formed the Reparations Committee of the Community of La Cuchilla and tried to negotiate a fair and dignified compensation from the company beginning in May 2016. The Reparations Committee then took their demands to the Guatemalan Congress on October 19th. Tahoe’s wholly-owned Guatemalan subsidiary, Minera San Rafael, denies that the cracked homes are related to the mine, instead blaming the problem on climate change. 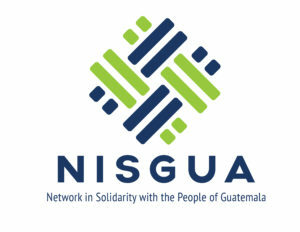 The company has relied on an evaluation by Guatemala’s National Coordination for Disaster Reduction (CONRED), which did not consider blasting at the mine or heavy truck traffic as possible causes of the structural damage to homes, blaming the village’s problems on its location in a steep area. 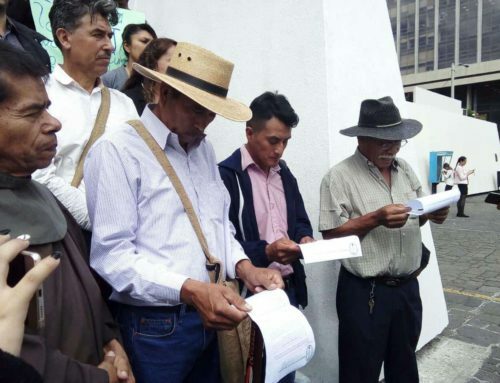 Unconvinced by the CONRED study and concerned that Guatemalan authorities lack the political will to identify the root causes of the damage, community members continue to demand answers and seek reparations, believing that the company is responsible. 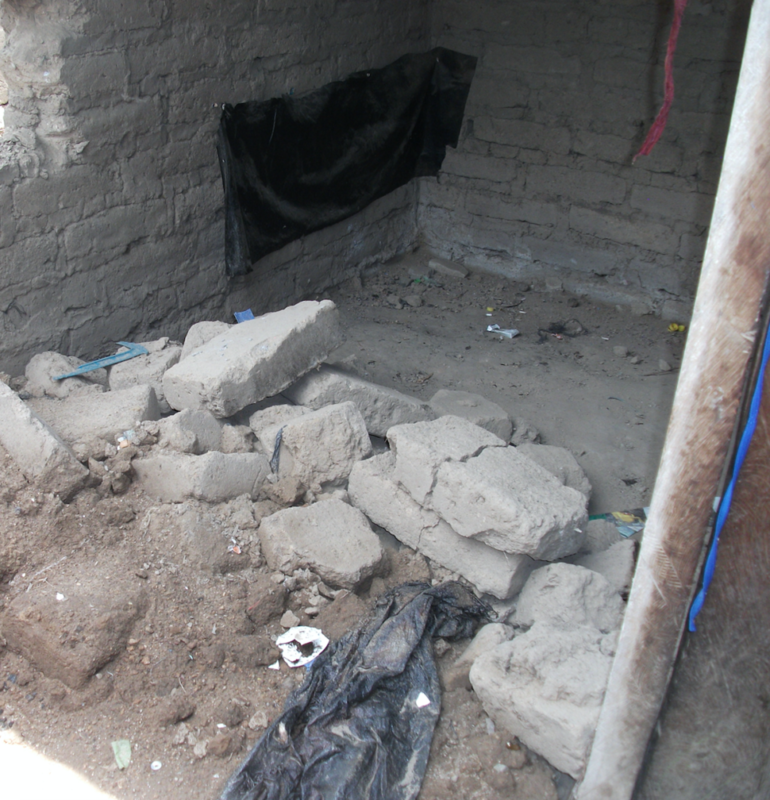 This is not the first time houses have cracked in communities near large-scale mining operations in Guatemala. Nor is it the first time it has happened on the watch of Tahoe Resources’ CEO, Kevin McArthur. In 2009, a two-year monitoring study carried out by a team of Guatemalan and international engineers found that the most probable cause of cracked homes and building damage in communities near Goldcorp’s Marlin mine were the explosions and heavy transport used by the company. McArthur was CEO of Goldcorp until the end of 2008 and founded Tahoe Resources roughly a year later. Tahoe acquired the Escobal project from Goldcorp in mid 2010. Similar to Escobal, Goldcorp’s Marlin mine in northwestern Guatemala was put into operation in the midst of widespread opposition and repression. As a result, international human rights bodies have repeatedly called for suspension of the mine, raising concern over impacts on human rights, community health, the environment, and the self-determination of Maya Indigenous communities. 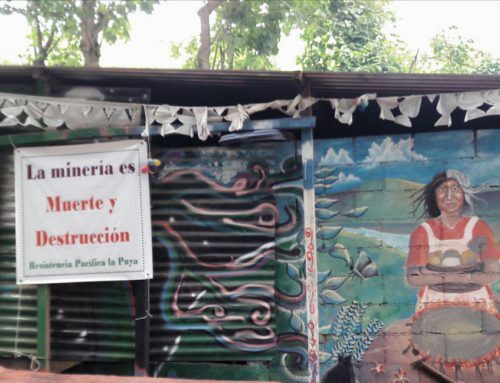 Since 2011, the Escobal mine has given rise to local opposition and non-violent direct action. Over 55,000 people, including the community La Cuchilla, have voted against Tahoe’s mine in over a dozen locally convened votes. 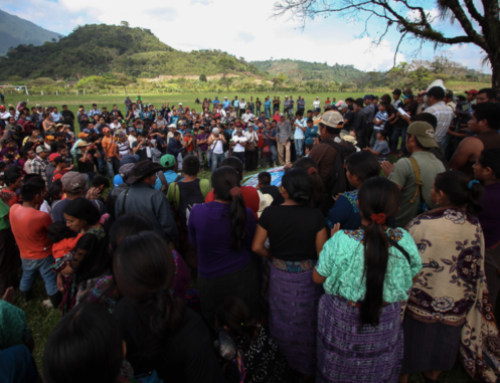 In return, peaceful protest and organizers of local votes have been met with violence and criminalization as part of Tahoe Resources’ and the Guatemalan state’s militarized security strategy for the area. Public demonstrations subsided after a violent attack in front of the mine in which seven unarmed protestors were shot and wounded by Tahoe’s private security. A state of siege was declared in the region in May 2013, one month after Tahoe’s final exploitation permit was granted, further entrenching a climate of fear in the region. 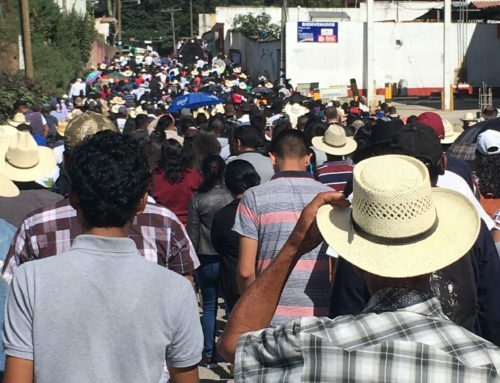 As a result, there is justified concern that the Guatemalan armed forces and Tahoe’s militarized private security apparatus could respond with violence and criminalization against La Cuchilla’s peaceful protest. Community leaders have already reported receiving threats of criminalization, saying that a complaint for damages will be brought against them if they do not cease and desist. International human rights and environmental organizations are calling on the Guatemalan security forces and Tahoe Resources private security to refrain from responding with violence or criminalization against local leaders. They are also encouraging the broader international community to be on alert to potential repression and trumped up legal charges against community members that may result from this peaceful protest. Photo credit: Taken in May 2016 by members of the Committee of Reparations, during a survey of damages of fallen homes. Credit: Comité de Gestión de Aldea La Cuchilla para Resarcimientos.